Being a woman in the professional brewing industry isn’t for every elegant lady, but for the past five years, I’ve dedicated my life to craft beer. From the beginning, I joined Pink Boots Society to link up with fun loving, beer making girls like myself. Pink Boots is an organization for women in the beer industry, and their main goal is to help women advance their careers through education. They offer a ton of amazing scholarships throughout the year. As I was perusing the Pink Boots website this summer, one of the scholarships jumped out at me. It was a trip to Germany for ten days to visit breweries and hop farms, and learn about German brewing traditions. I have a passion for traditional brewing, so I applied immediately. A couple of weeks later, I got the news that I was chosen for the scholarship along with six other professional beer ladies. It was off to Bavaria for us, and Germany did not disappoint. As a professional brewer, I knew a little bit about German beers. The first thing to come to mind was the Reinheistsgebot law. The Reinheistsgebot is also known as the “German beer purity law.” It states that beer must only contain water, hops, and barley. It was written in Bavaria in 1516, before they knew about yeast. Now it’s 500 years later and the laws are still strictly enforced. That means no cocoa nibs, no orange zest, not even a little sugar. Some people think you can’t make very interesting beers with such limited ingredients, but Bavarians are extremely proud of the Reinheistsgebot and the traditional beers they brew are complex and fantastic. The other thing I knew about Germany is their intense love of lagers. Lager is king in Germany, and I was expecting to drink a lot of German pils and Munich helles. Neither style can hide behind an extreme malt or hop bill, so the beer must be brewed to perfection so no off-flavors are produced. Other German lagers include festbier and marzen, which Americans fondly know as Oktoberfest beers. Many American Oktoberfest beers are ales, but they’re all lagers in Bavaria. Some of the lesser-known styles include Munich dunkle, a dark lager, and radler, a refreshing mixture of German pils and lemonade. My personal favorite lager is rauchbier. It’s a dark, ruby colored smoked lager, and it’s especially popular in the small, quaint city of Bamberg. While every German brewery is unique, there are an exceptional number of similarities. This was especially obvious in the design of the breweries and their method of brewing and conditioning their lagers. Every brewery design starts on the top floor with the grain mill. Before the days of electric pumps, brewers made the most of gravity. They milled in on the top floor, brewed on the second floor, fermented on the ground floor, and lagered the beer underground in the cellars. Nearly all the lager fermentation is open, and puffy happy yeast is visible in every tank. It’s a beautiful sight and you can feel the rush of CO2 when you walk into the fermentation room. Before CO2 monitors, brewers would light a candle in the room. If the candle started to flicker or burn out, they would evacuate because the oxygen was getting too low. Lager fermentation is completed between 50-55 degrees Fahrenheit and takes 7-10 days. Then, the beer is transferred to the cellar for conditioning. All German cellars are dark and cold, filled with countless horizontal conditioning tanks. Horizontal tanks are preferred to upright tanks because the beer has more surface area and less hydrostatic pressure, which is better for the yeast. 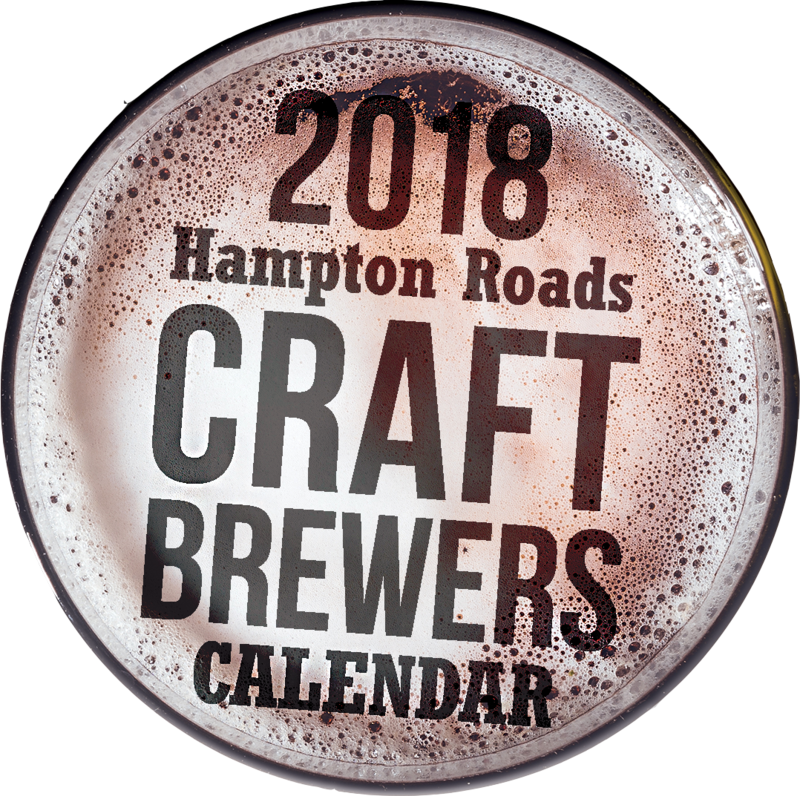 The conditioning schedule varies, but most brewers slowly decrease the temperature from 55 to 32 degrees over a 10-day period. Then the beer is lagered at 32 degrees for 4-6 weeks. The yeast is dropped out every other day to achieve optimal brightness. Beer served while it’s still conditioning is known as kellerbier or zwickelbier. 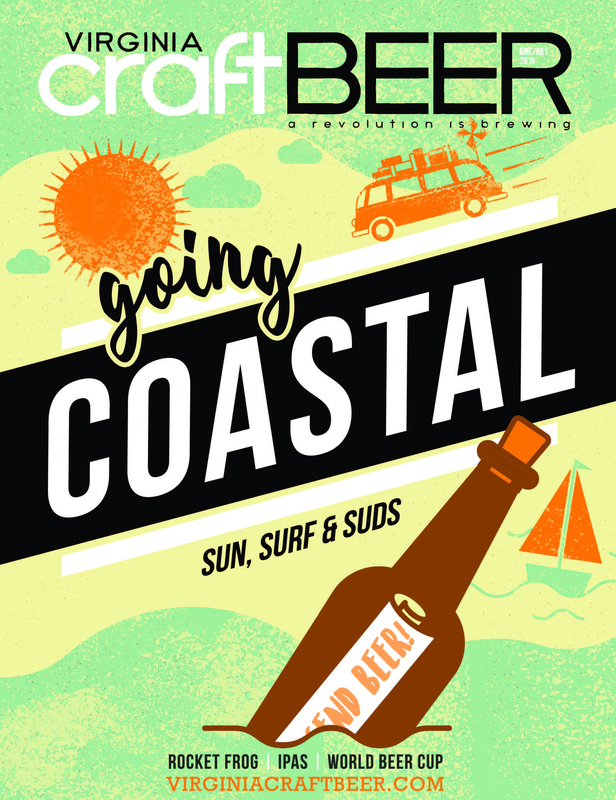 It’s young, unfiltered, and only available on draft or straight from the tank. Aside from lager traditions, I learned most breweries are passed down throughout generations, some as old as 1,000 years. Often, the breweries are family owned and run. In the past, they were passed down to a male heir, but as times have changed, there are several family owned breweries run by women. They grew up in the breweries, attended school to hone their craft, and they’re proud to brew some of the same recipes as their ancestors. This tradition of passing down the breweries is also prevalent in the churches and abbeys. Monks were some of world’s first brewers. Many Bavarian abbeys are akin to small towns with bakeries, butcheries, schools, and breweries. Even today, they supply most of the beer for their town. We were even lucky enough to meet Germany’s last nun brewer, Sister Doris. She is a happy, endearing woman who loves her religion and beer. Her laughing face is on every bottle of beer she brews. One of the most valuable lessons I learned in Germany is to embrace traditions and work to keep them alive. We don’t all have to follow the Reinheistsgebot or brew traditional beer styles, but it’s important to acknowledge where things started and have an appreciation for people who maintain those values. By no means am I a brewing “purist”. I love a beer with imaginative ingredients and experimental processes. But in the end, Germany has been brewing world-class beers for hundreds of years and I love everything about that too. 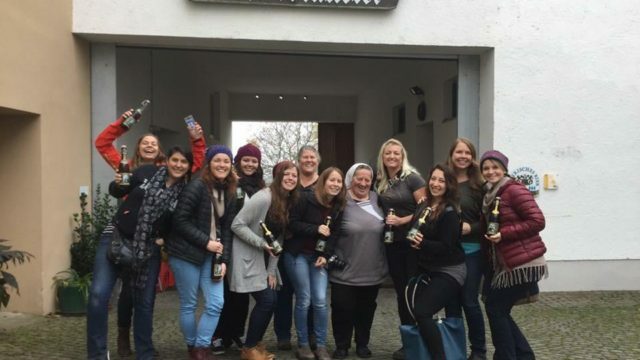 I would like to thank Pink Boots Society for sending me and the other women on this amazing beer tour through Bavaria. 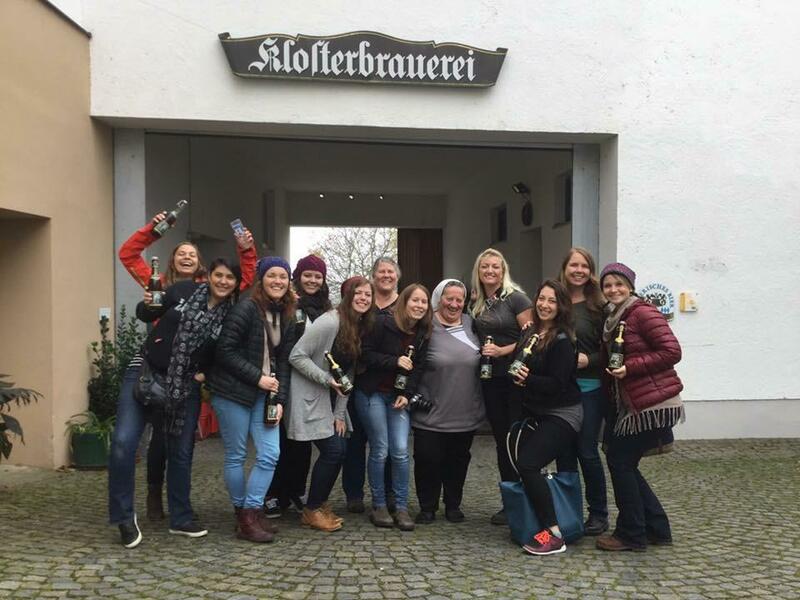 It was a once in a lifetime experience, and I learned just as much from my fellow beer ladies as I did from Germany. If you’re a woman in the beer industry, you should absolutely look into joining Pink Boots. Maybe you’ll be one of the lucky ones to visit Germany next year. Prost!